I’ve said it once and I'll say it again, when you are looking to do your own renovation it all starts with a concept! 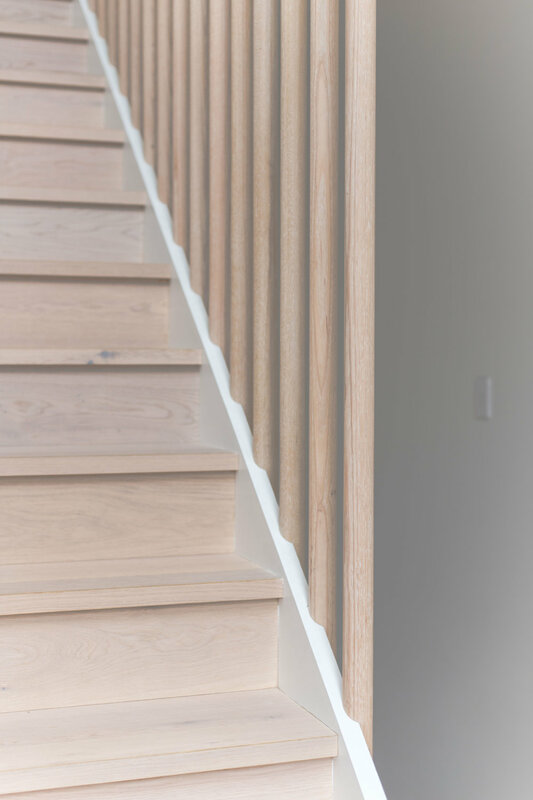 Even if you are only looking at refreshing your bedroom or doing an entire new build – it doesn’t matter how big or small your project is, it will be way more successful if you have a concept that steers your design direction! It’s a feeling, an idea, a look, a style…it can be so many different things but it essentially boils down to being one single idea. This idea which is your concept is what you refer back to each time you are making a decision when designing, or renovating or shopping for your new bedroom. So many clients say to me that they don’t know whether the things they have been buying or selecting work together so that’s why they come to me! What I do is work out what the clients concept is, and then when we make the decisions on what tiles to choose and whether it goes with that style of tapware – we refer back to our concept and ask whether they work back with the concept. It doesn’t matter if you are choosing the dining table or what colour grout you are doing in the downstairs bathroom, every single decision should be made with your concept in mind. If you do this, you will be selecting things that work together! Having a concept will importantly give you the confidence to go out there and do it yourself and you won’t need to question or doubt your decisions! It gives you the power to go and enjoy the process and takes all of the stress out of it! How do I come up with Concept? I think its vital to choose something you connect with. Don’t choose something just because you have seen it on every second Instagram feed, choose something only because you LOVE it! If you love it now, then you will always love it and will ensure that you will be happy with your decision for years to come. 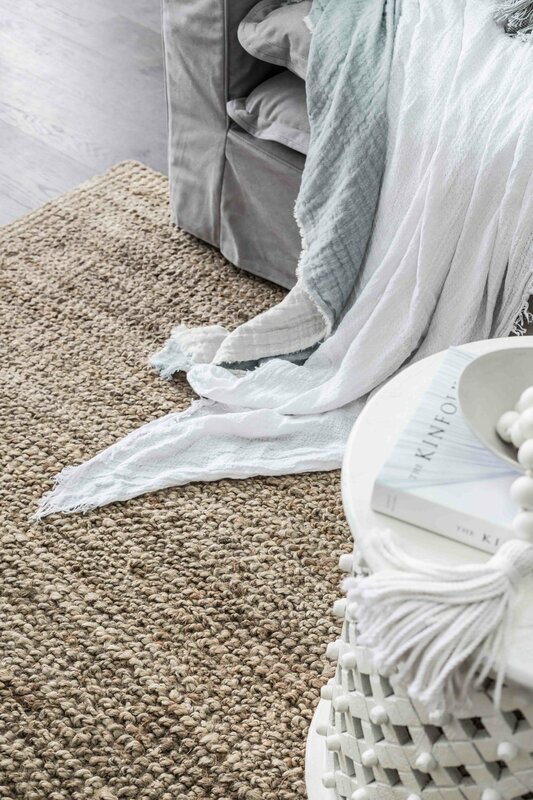 So if you have always loved that coastal look, then go for it! If you have always loved Scandi and are not willing to let it go then follow that! If you, time after time love a particular designers work, then they can form your concept. It can literally be anything, as long as you love it! I have always fallen back to a few main styles, traditionally I was all about coastal concepts and I still do so many to this day. I went through a strong Scandi phase which I have moved away from and now I am all about a more contemporary Australian look. The beauty of all of these concepts is they cross over nicely and they can sometimes merge. I personally don’t do a lot of classic or luxe as its not something I am drawn to, I don’t feel like I do it as well. So another important lesson is to choose something that you love because you will do a better job at it! What do I do once I have a Concept? You create a mood board! I generally collect images from all over the internet that appeal to me for a project and put them together. Once upon a time I would have created a physical mood board from magazine clippings but those days are sadly gone! So digital is definitely the quickest and easiest way forward! Pinterest and Instagram are two huge resources that you can use with an endless supply of imagery. I also tend to visit other designers websites too to have a closer look at their portfolio of work. Collect images that relate to your concept, that visually convey that idea and that feeling. You can choose an image just because it conveys a mood or an emotion that is important to your concept, it can be as literal or abstract as you want! If you put them together, you will start to see your concept form – there is a repetition of different elements of design, a repetition of colours, textures, shapes and you will start to see for yourself what you are drawn to and most importantly where you are headed with your project! Once you have finished putting your mood board together, I would say step away from it for a few days and come back to it with fresh eyes and identify the key characteristics. Are the colours bold or soft and muted, is it clean and minimal or textured and layered, are there lots of warm colours or cool colours. Once you have identified your key characteristics you essentially have your list of things to look for when making your design decisions. Make sure that each decision you make during your project identifies with those key characteristics and you are on your way to creating a cohesive and well rounded project! What did I do for 2 in Twelve? 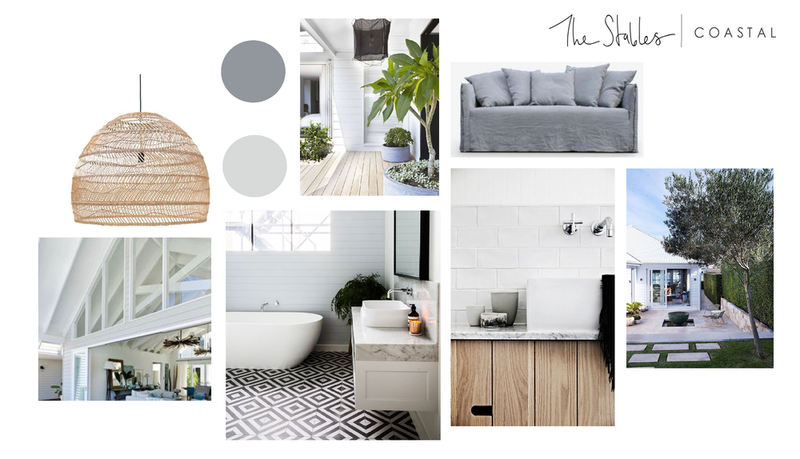 Take a look below to see my mood boards that I created for 2 in Twelve, my investment property had a Coastal concept and my Forever Home had a Contemporary Australian concept.